Although Walt Disney World is a destination for those of all ages, there is a huge amount of activities available for couples as well. 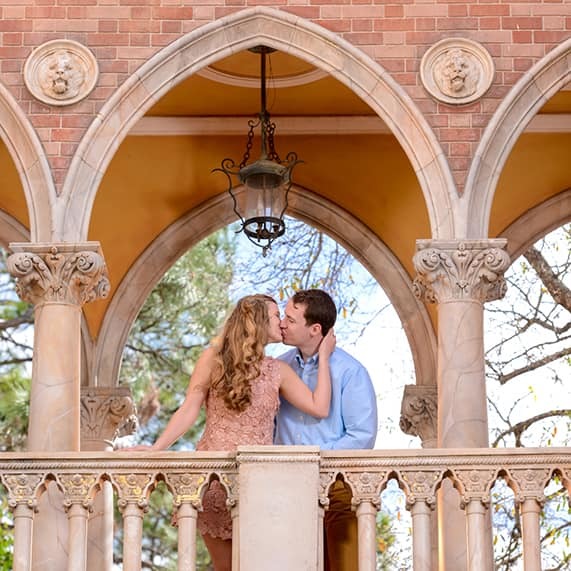 From top tier dining options, world class entertainment, exciting attractions in four theme parks, more than 25 resort locations, and that special Disney difference, there is no doubt that a honeymoon at Walt Disney World has something for any pair. There are endless possibilities for your trip; it is simply up to your preferences and wants. Here are just a few potential choices. Several of the resorts on property host top-tier spa facilities where you can relax and unwind, especially if you spend a long and tiring day in the parks. 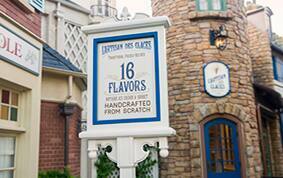 The most popular is Senses, located at Disney's Grand Floridian Resort & Spa and Disney's Saratoga Springs Resort & Spa. They offer great couple packages from massages to complete spa packages for two. With your new husband or wife by your side, it will be the ultimate relaxation experience. No need to sit through Finding Nemo: the musical (unless you want to! ), there are some great options out there for live music. At the newly renovated and absolutely beautiful Disney Springs, you can listen to upbeat Irish tunes and pub classics at the rollicking Raglan Road, or enjoy authentic Cuban food and savor the live music at Gloria and Emilio Estefan's restaurant, Bongos Cuban Café. If you want a more traditional concert experience, there is always the House of Blues, which hosts some popular bands. In the mood for something different? 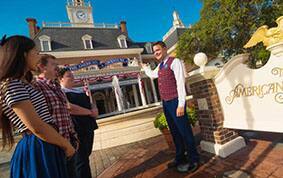 Check out Jellyrolls at Disney's Boardwalk, a dueling piano bar open late and 21+. 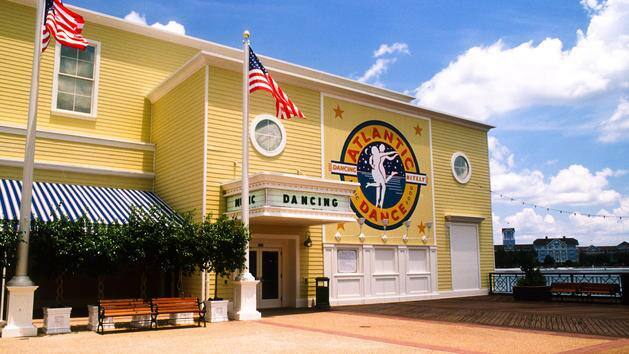 Another late night favorite is the Atlantic Dance Hall, also at Disney's Boardwalk, if you feel like dancing. If you and your partner are looking for a full dinner show, there is no better option than Hoop-Dee-Doo Musical Revue at Disney's Fort Wilderness Resort, where you can chow down on buckets of delicious comfort food and enjoy a Western musical and comedy show. As a couple, it can be difficult to capture all your favorite moments of your trip and get both of you in all the photos. It can be a hassle to ask strangers all the time, and be aware that selfie sticks are banned in all the parks. 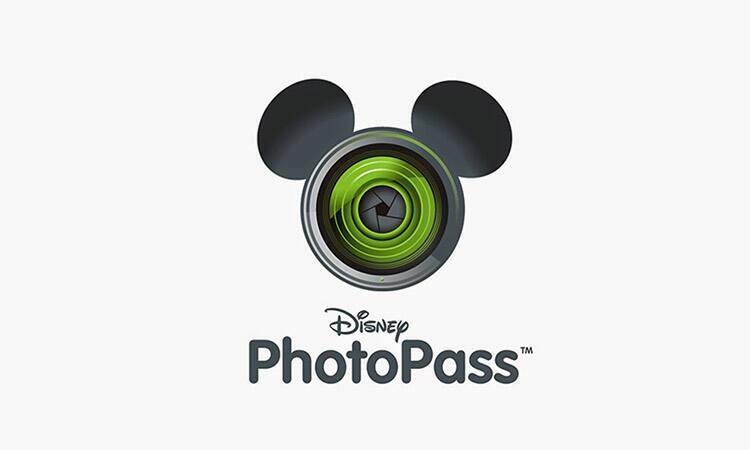 Luckily, Disney PhotoPass photographers are standing by at all the iconic spots to snap that perfect picture. Generally, they will take a shot with their professional camera and scan your magic band or ticket so you can access it later, but they are usually also willing to take a candid shot with your phone or camera. You can view and purchase the professional shots, including your on-ride photos, online or on the My Disney Experience App. Additionally, if you purchase Memory Maker, you will have unlimited downloads of all the photos from your vacation! For any foodie couples out there, Epcot is the place to go. With 11 countries represented and over 30 dining options in the World Showcase, the most difficult decision is choosing where to eat. Any type of food you can think of and some you have maybe never even heard of are available to you here. While there are some excellent table service restaurants, a great way to experience all the food options is to do small tastings at each country. 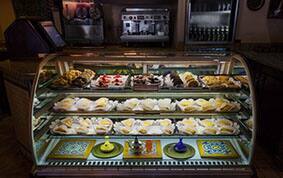 You can enjoy delicious snacks as you journey around the world. 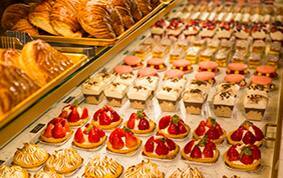 Some favorites include the school bread from Kringla Bakeri Og Kafe in Norway, a warm pretzel from Germany, the croque glace from L'Artisan des Glaces in France (ice cream in a warm brioche with chocolate or raspberry sauce), and gelato from Italy. Of course, there is so much more, and if you are lucky enough to be visiting in the fall, you will experience the ultimate foodie heaven, the Epcot International Food and Wine Festival. Take a break from all the hustle and bustle of the crowds, and enjoy the scenic environment at Disney's Fort Wilderness Resort. 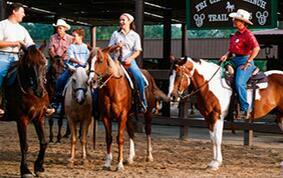 You and your partner can saddle up and take a horseback ride on the trails through an idyllic woodland setting. 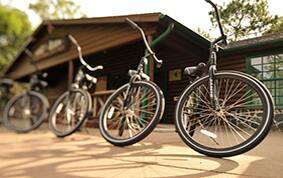 For those who prefer two wheels instead of four hoofs, there are also bike rentals, which are ideal for exploring the expansive land of this resort. 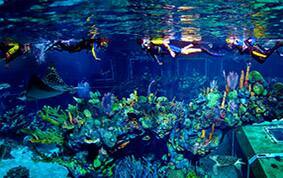 It will feel like you are miles away from any theme park or crowd. If you prefer something a little more relaxing, a romantic carriage ride is the perfect way to take in the beautiful landscape while cuddled up with the one you love. If you love Disney and want to experience an all new side to the parks, consider signing up for one of the many tour offerings on property. 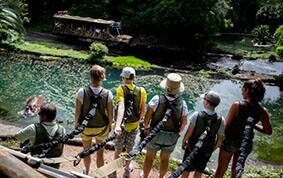 You can venture backstage and learn the history of the Magic Kingdom with the 5 hour Keys to the Kingdom Tour, snorkel or dive with the fishes with the Epcot Seas Adventures, go Behind the Seeds at The Land in Epcot, or roam with the animals on the savanna with the thrilling Wild Africa Trek. 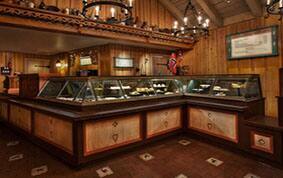 For more information visit the links above and to make a reservation, call (407) WDW-TOUR or (407) 939-8687. No matter what you are searching for, there is sure to be something to satisfy your honeymoon wishes at Walt Disney World Resort. The best advice is to plan ahead and do your research. With all the options and limited time, you don't want to miss out on anything. However, always plan in some downtime during your stay. It can be exhausting at times (especially in the Florida heat),and you will be surprised just how much walking you will do in day. Take some time out of your days and relax by the pool, stroll through your resort, or just take a nice nap. You want to enjoy your honeymoon, not suffer through it! 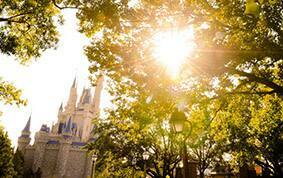 To start planning, contact your travel agent, visit the Walt Disney World website or call 407-939-5277. You can also visit our honeymoons website for more information.